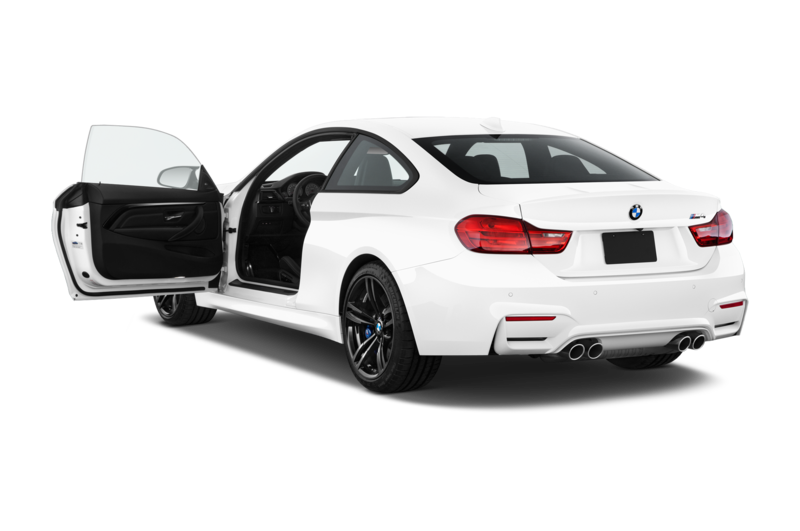 Is the Optional Competition Package Worth $5,500? 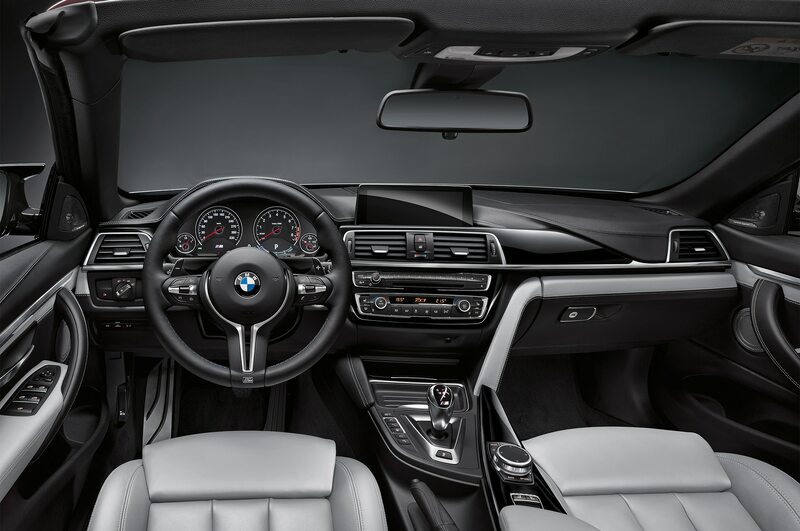 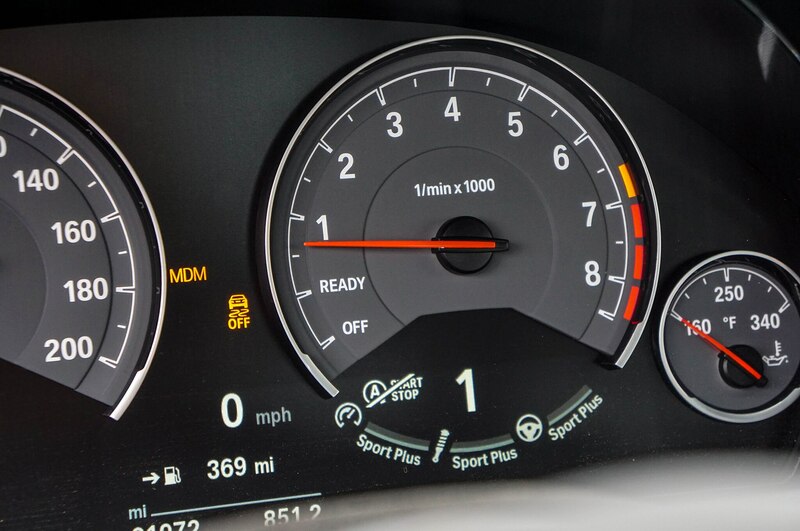 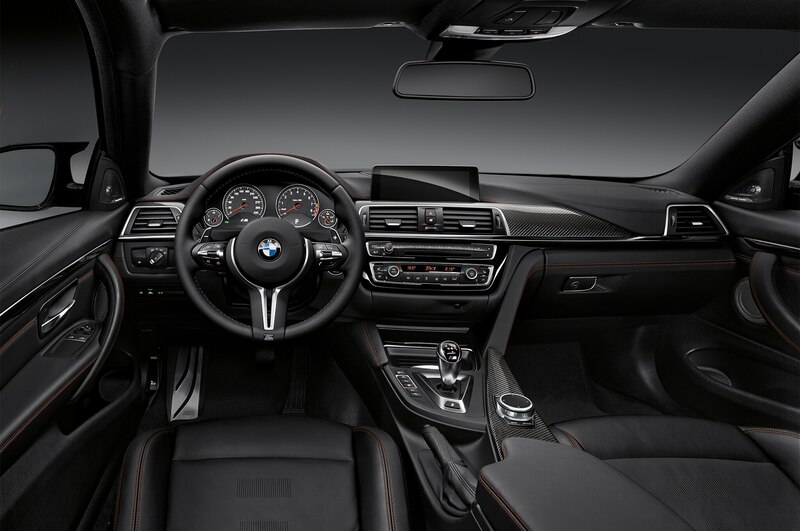 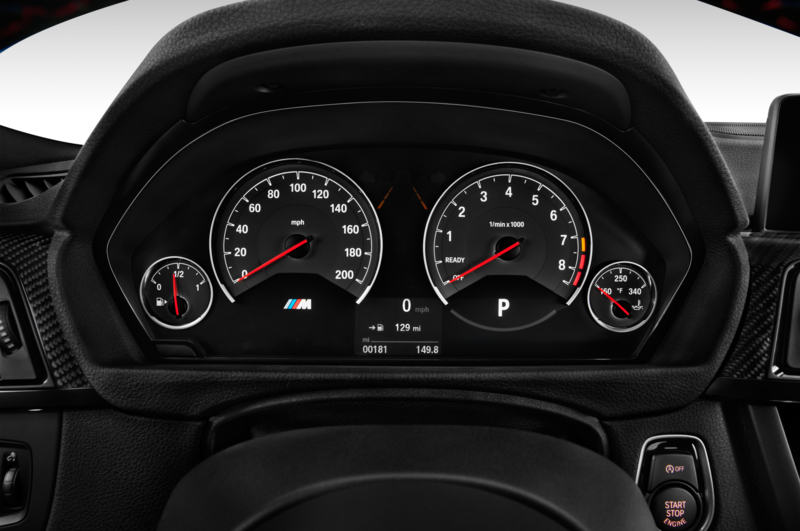 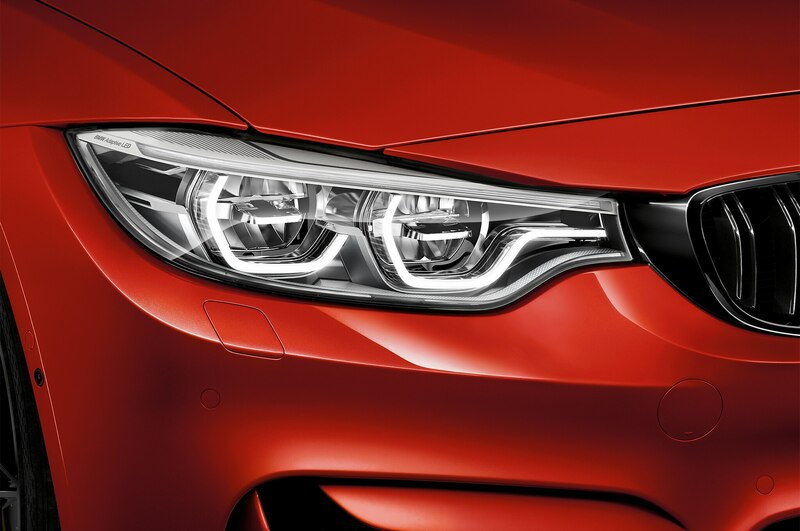 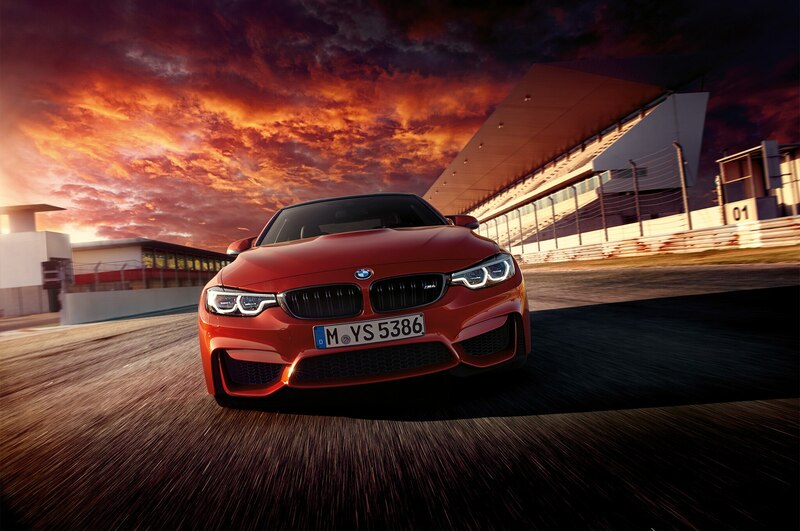 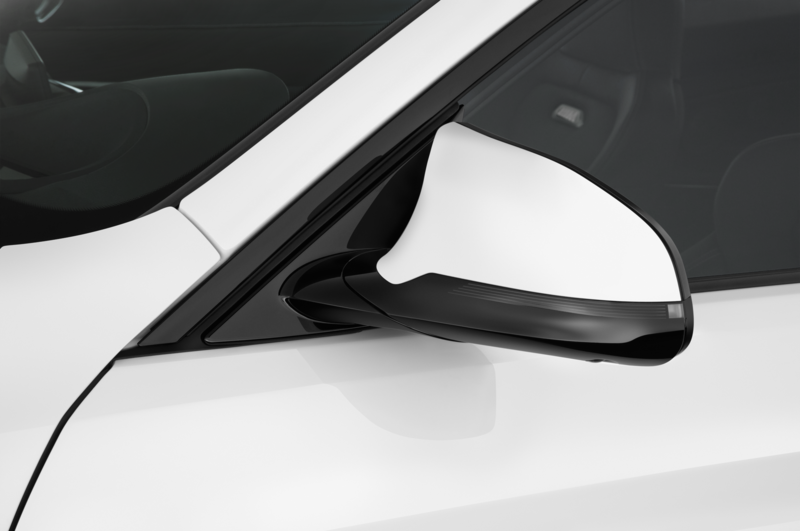 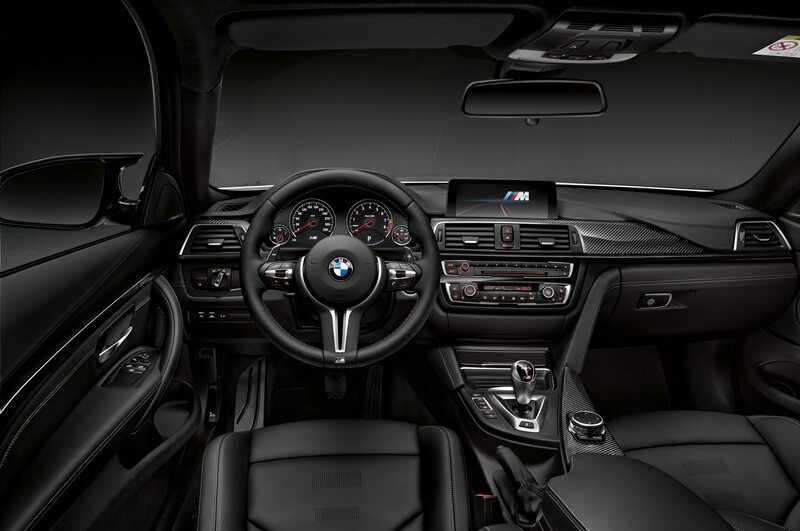 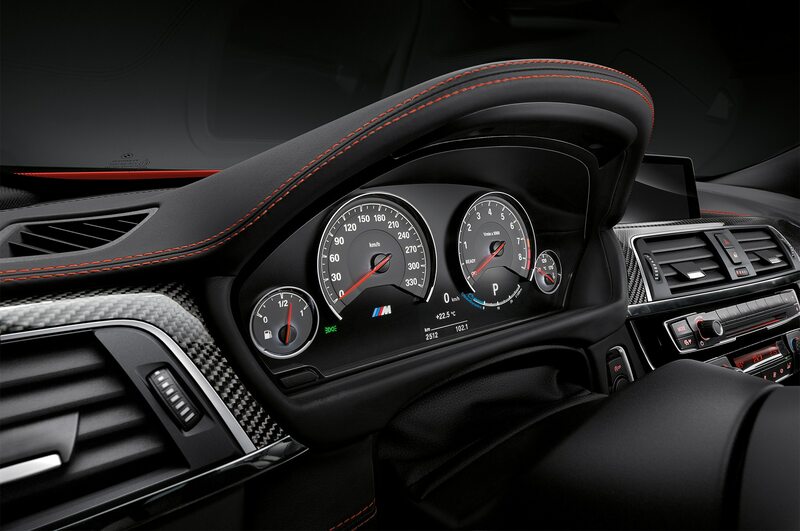 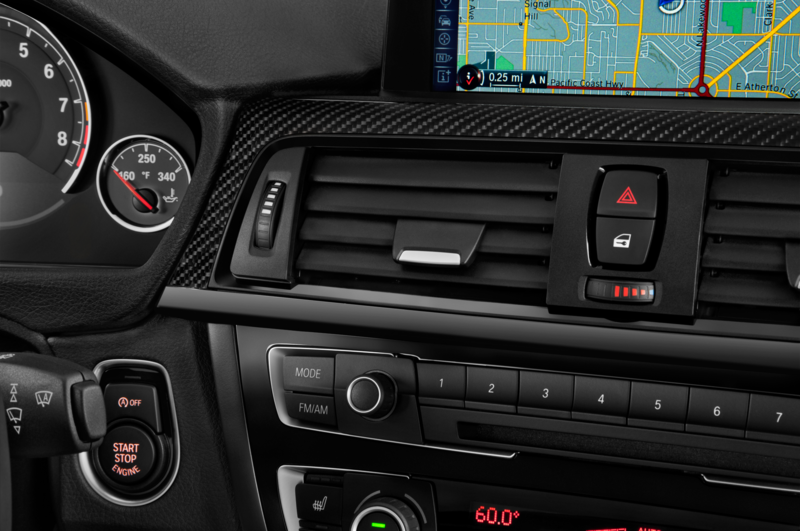 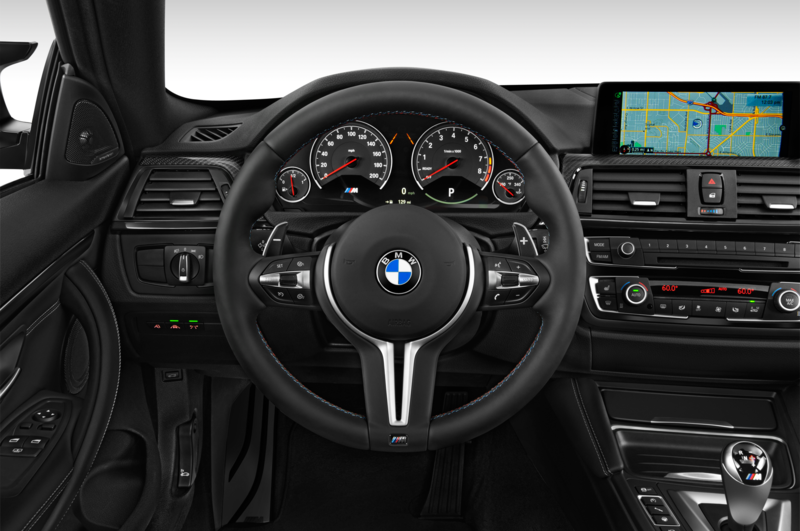 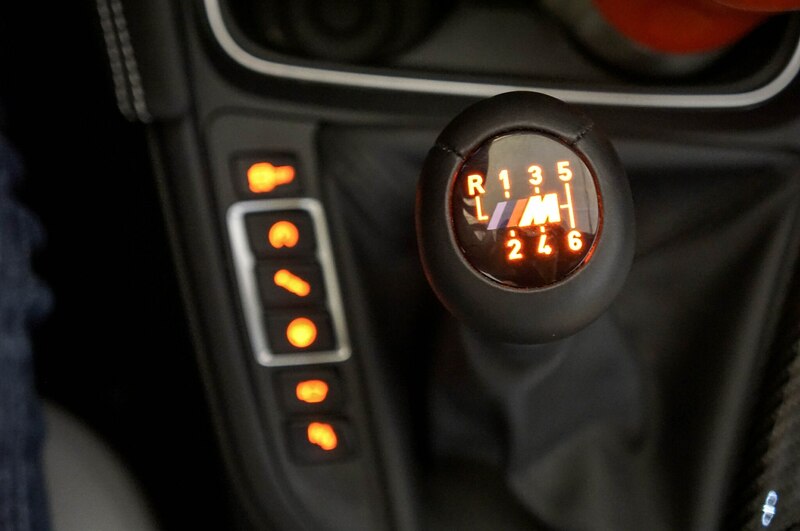 SALINAS, California — To say the 2016 BMW M4 isn’t a driver’s car is amateurish, overzealous, and flat-out incorrect. 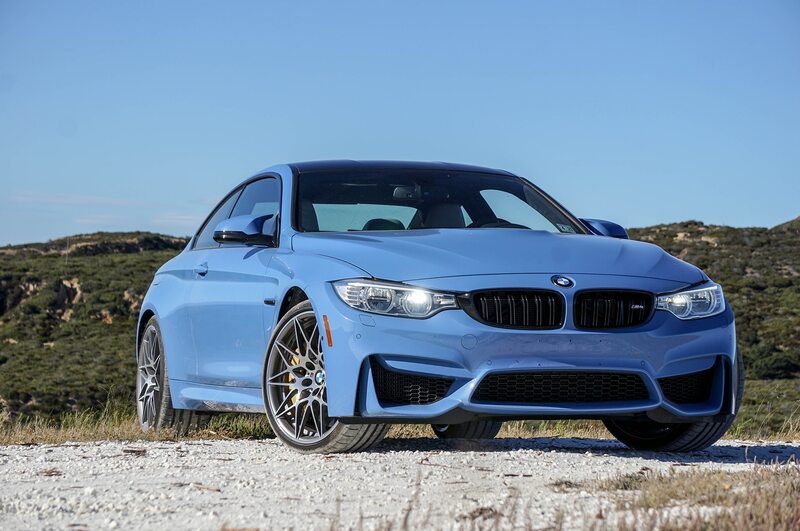 Maybe it’s not the hard-edged sports coupe its predecessors were, but that’s OK; the M4’s place in the automotive world made a lot more sense once the sheets were pulled back on the smaller, pricklier M2. 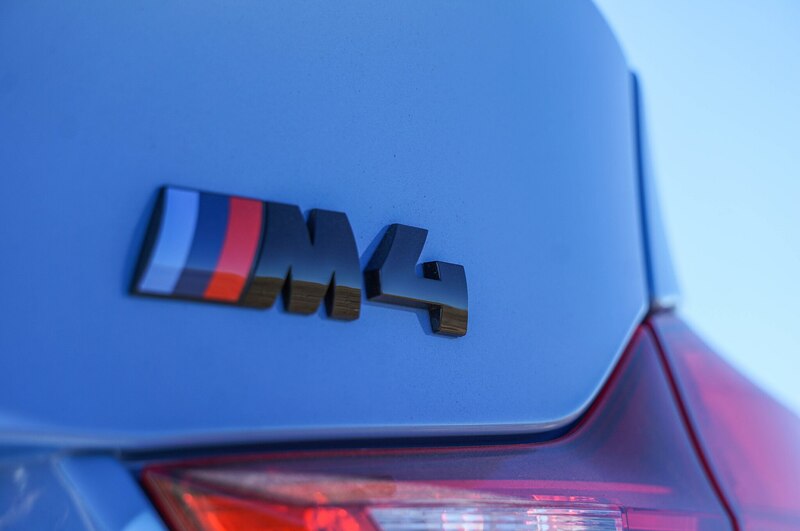 The M2’s very existence helps us stomach the M4’s softer character, immerse ourselves in its utter refinement, and fully enjoy its sensationally smooth and overwhelming power. 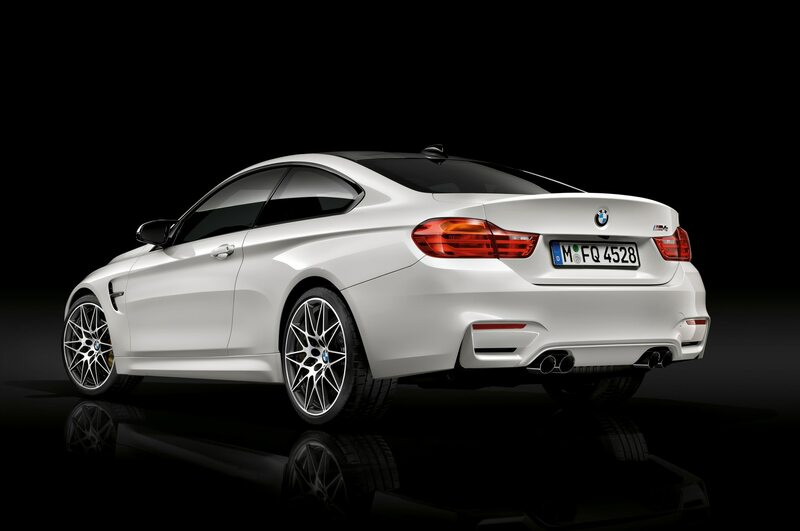 And yet a quiet, boyish energy in our gut still wants the M4 to be more hoarse, more exotic. 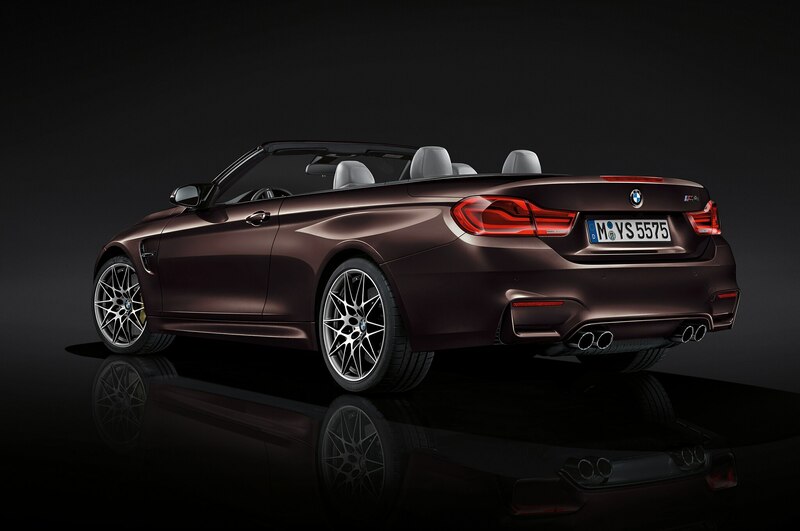 The all-new, optional competition package helps. 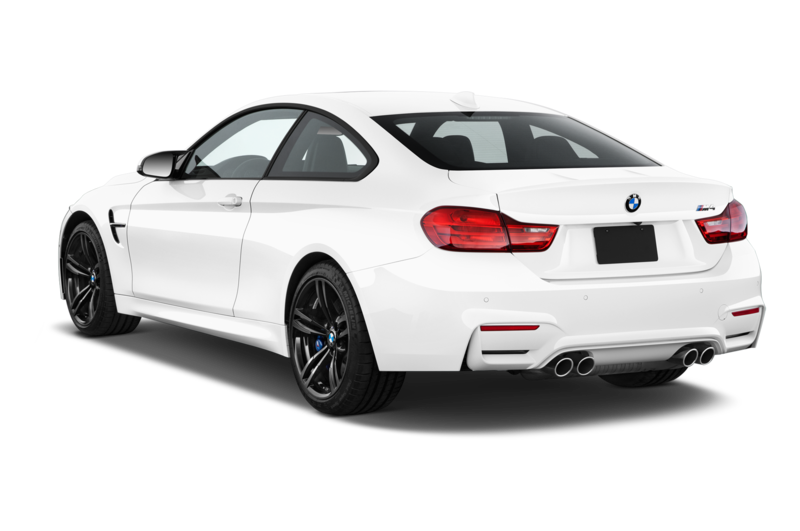 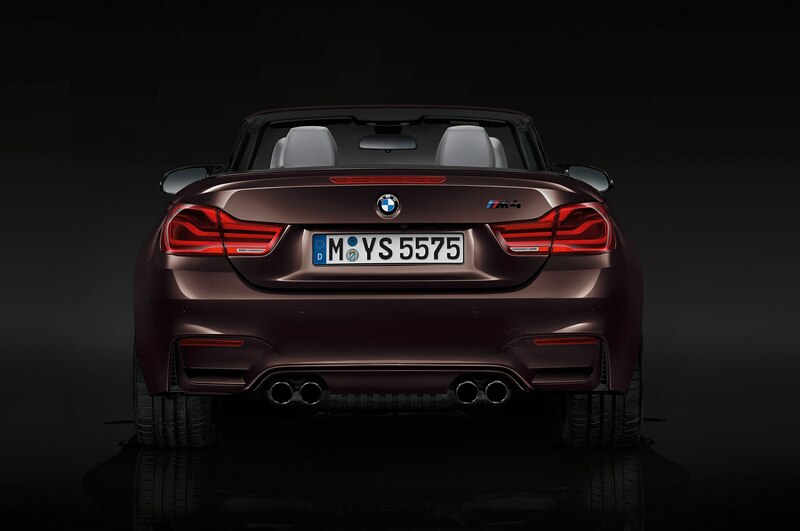 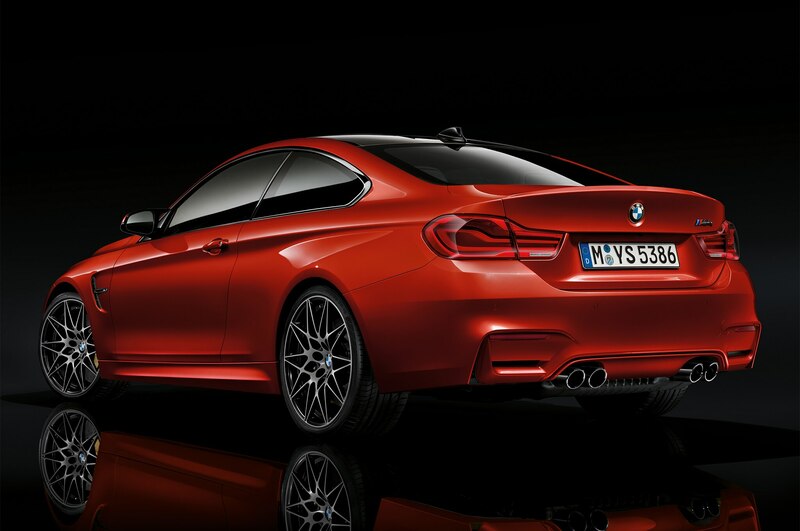 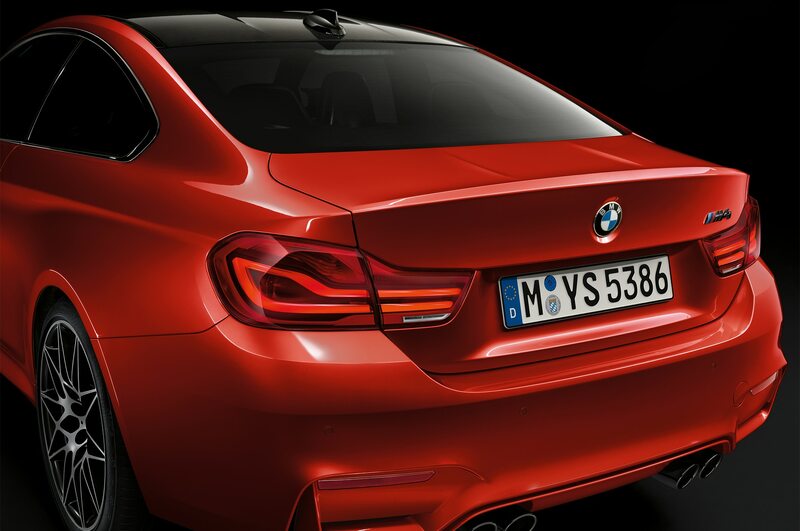 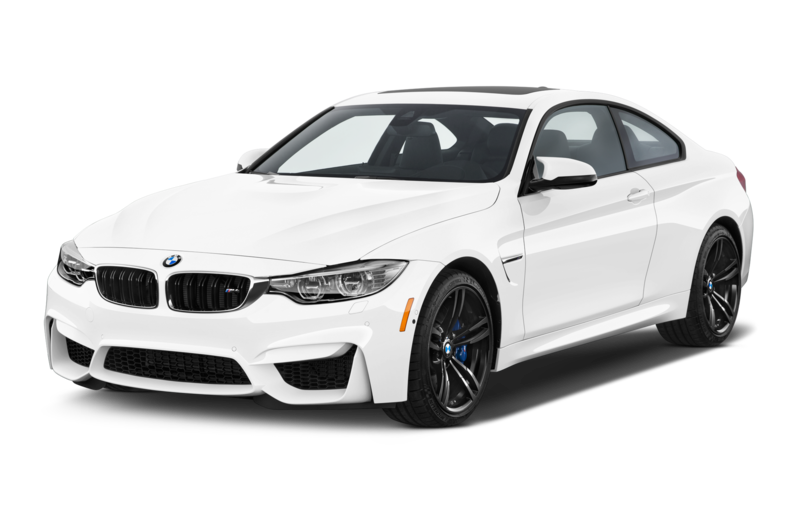 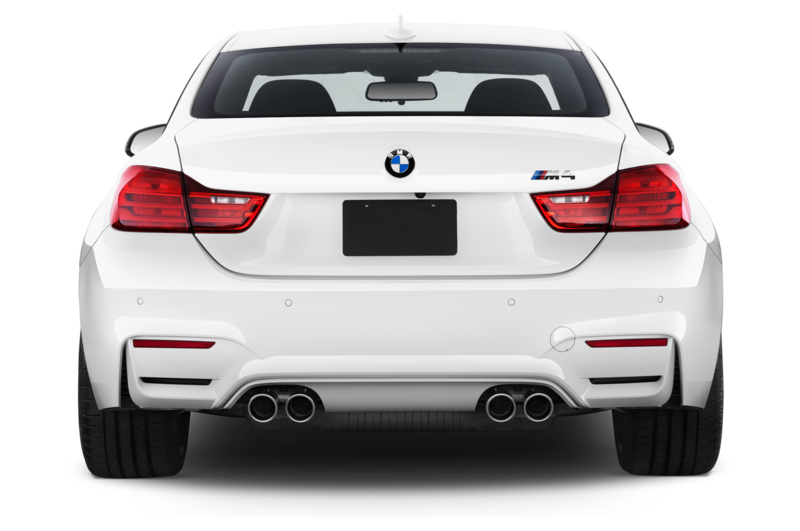 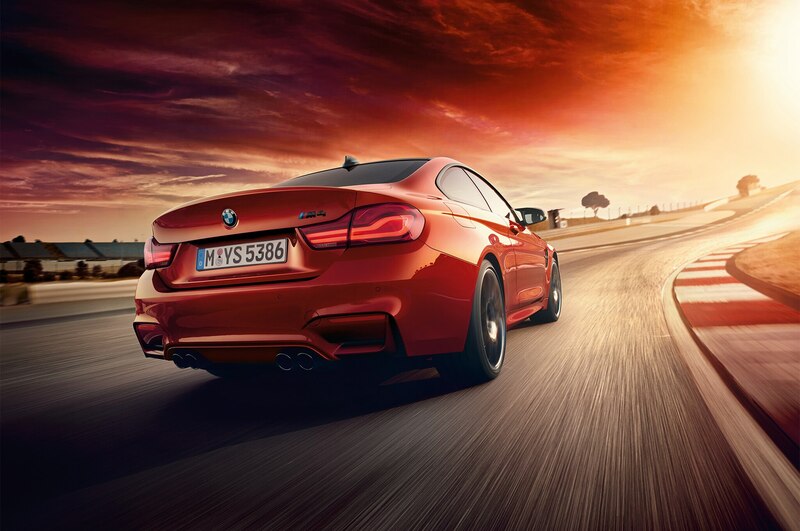 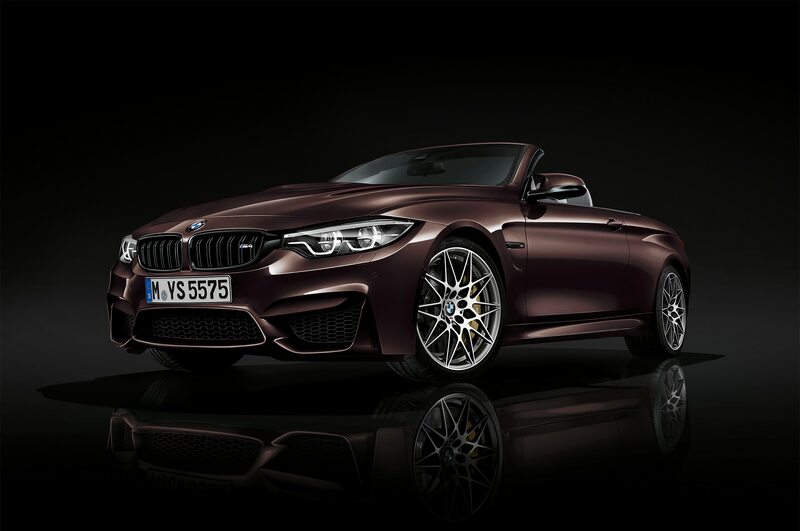 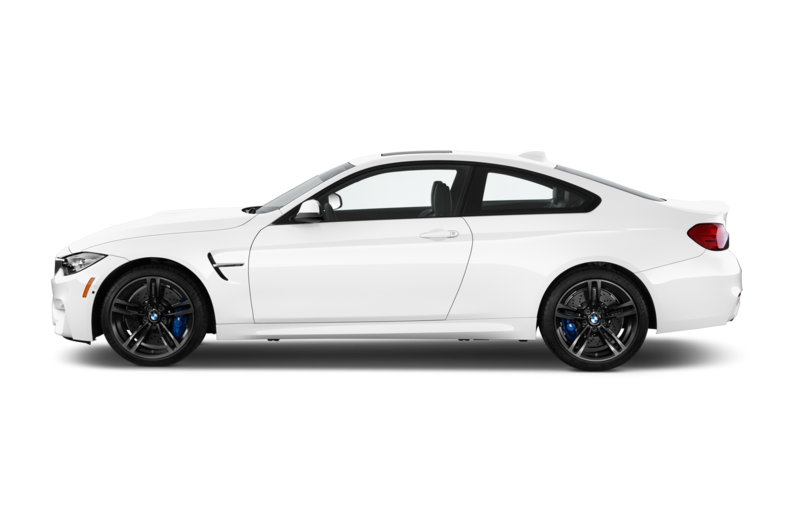 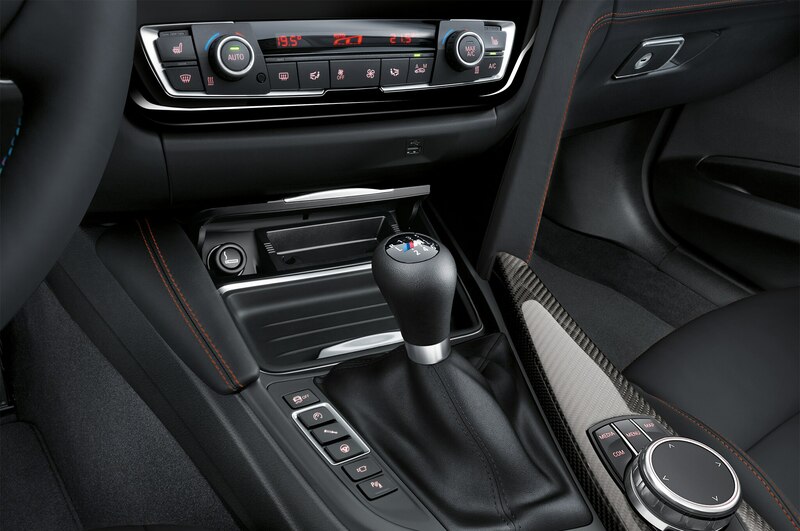 $5,500 on the 2016 BMW M4 coupe or its sedan brother, or $5,000 on the M4 convertible, the competition package adds M-tuned adaptive suspension — usually a grand as a standalone option — as well titanium exhaust tips finished in black chrome that typically cost an extra $1,060. 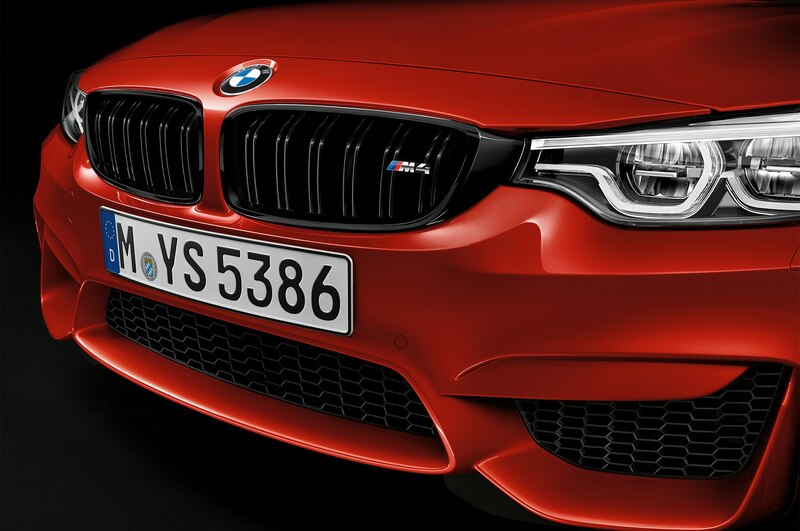 The black motif extends to the kidney grille, side gills, and tail badge. 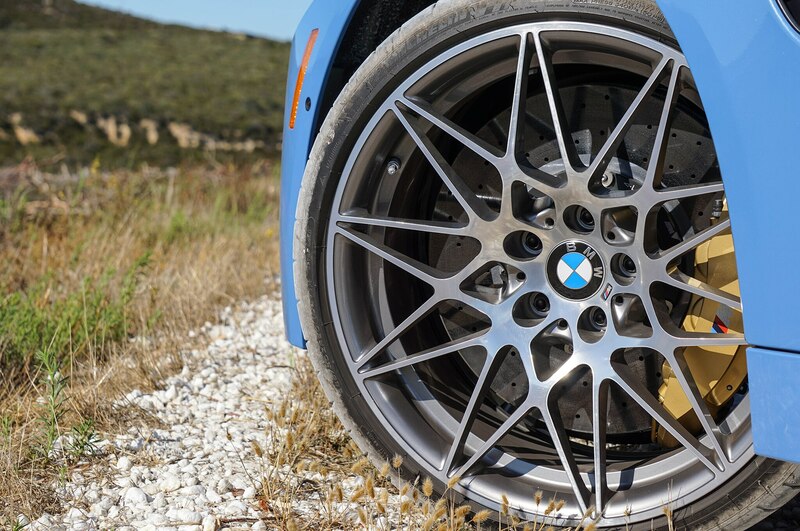 BMW finishes the exterior with lightweight, 20-inch forged aluminum wheels that have the same star-spoke design as the wheels on the M4 GTS. 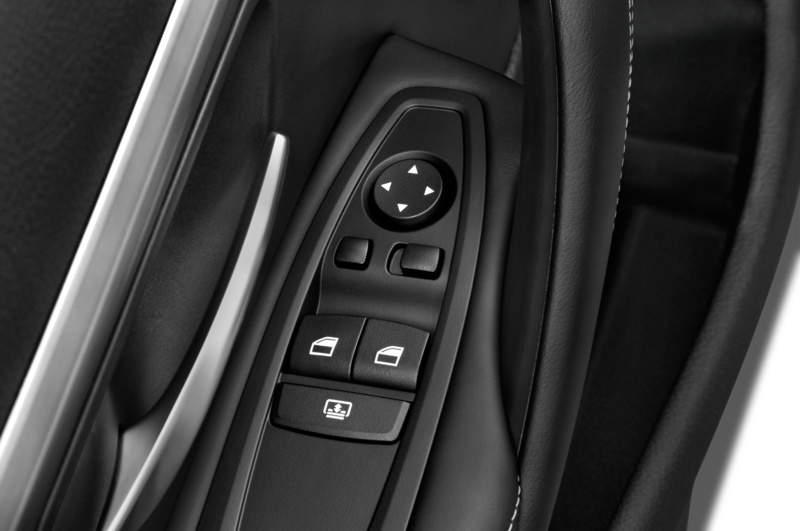 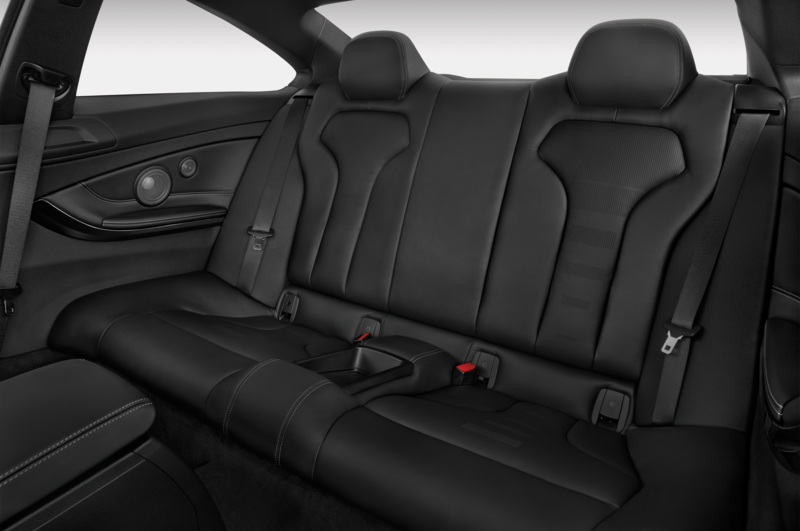 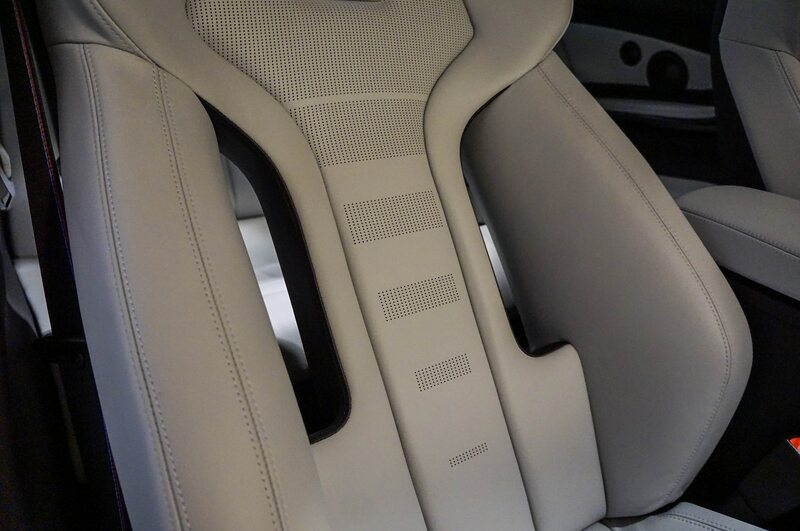 Inside, the automaker adds a pair of gorgeous sports seats with hollow centers in their backrests. 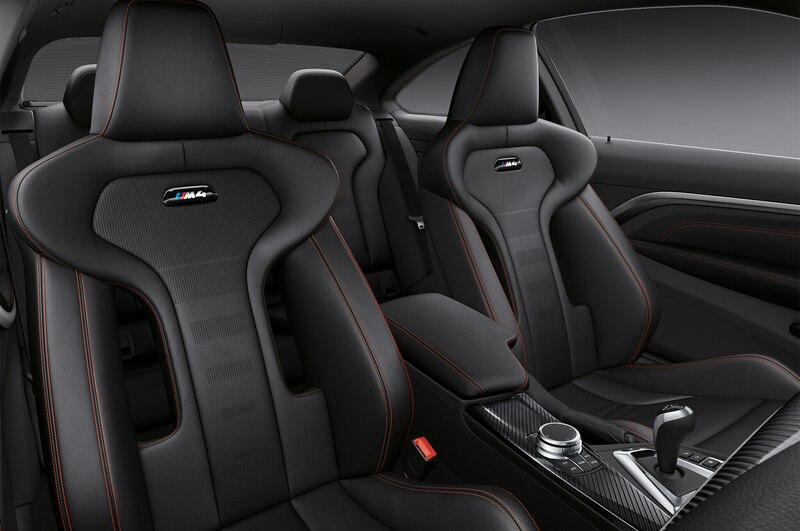 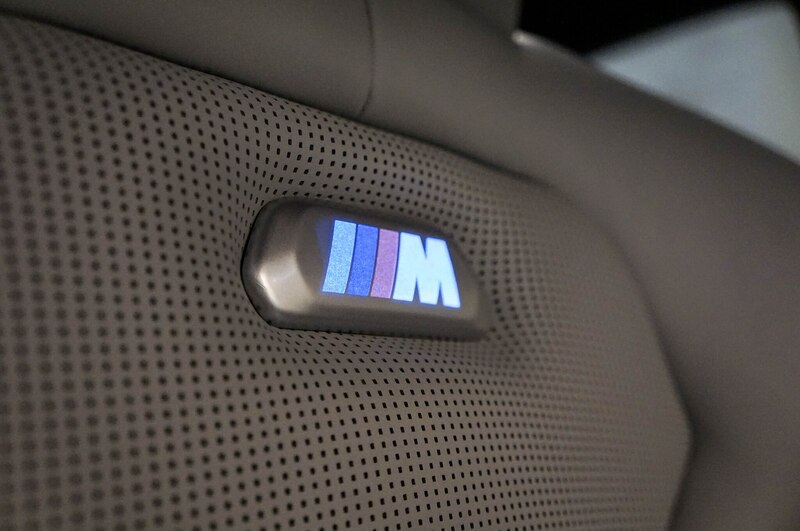 The seats aren’t part of the M4 convertible’s competition package, which is why it’s $500 less than the coupe’s. 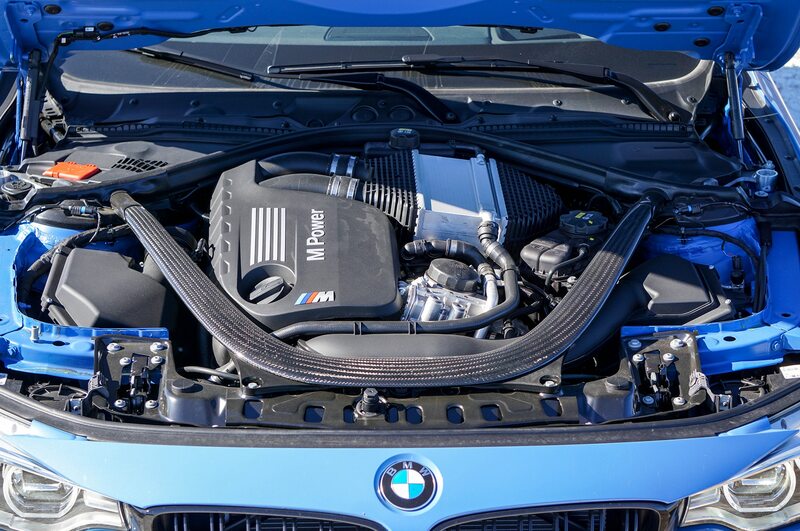 Now what would a competition package be if BMW didn’t add a bit of power? 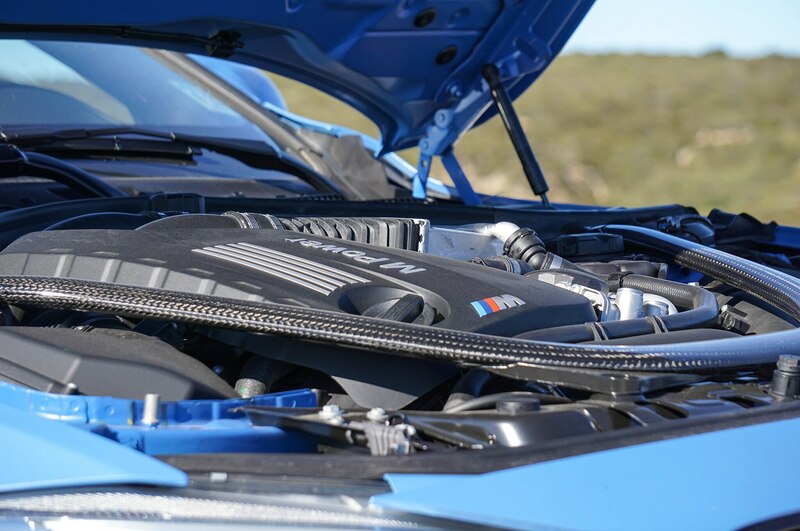 A 19-hp bump over stock bring the M4s to a total 444 hp, and BMW claims the improved power shaves a tenth of a second off the M4’s zero-to-60 mph time, regardless of transmission. 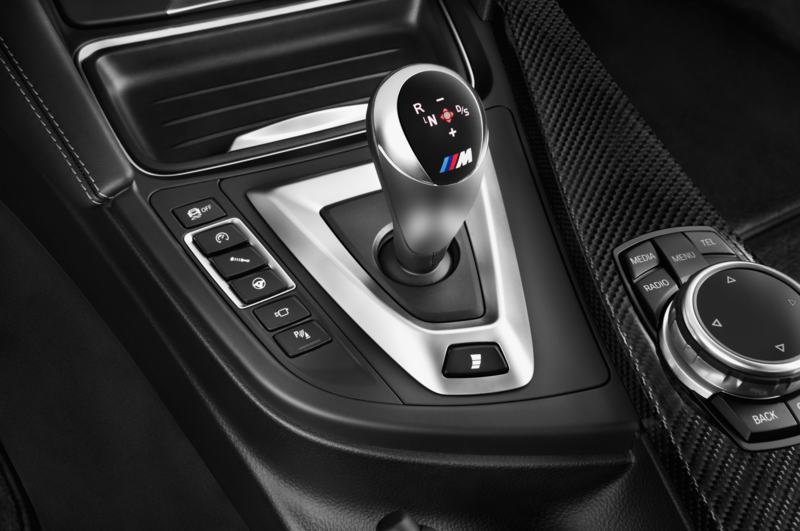 That means this model, with the 6-speed manual, should hit 60 mph in four seconds flat, 0.2-second slower than an M4 with the competition package and a seven-speed dual-clutch automatic transmission. 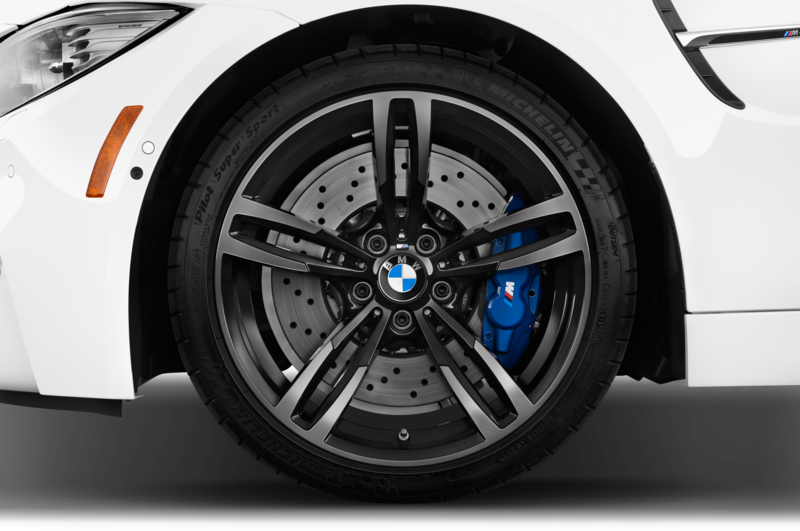 Unfortunately, carbon-ceramic brakes aren’t part of this package but since BMW typically robs you of $8,150 for those, we understand why. 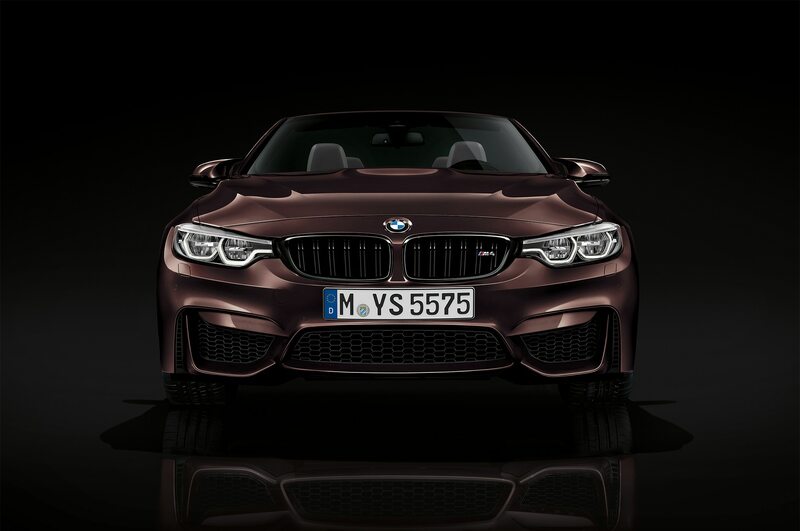 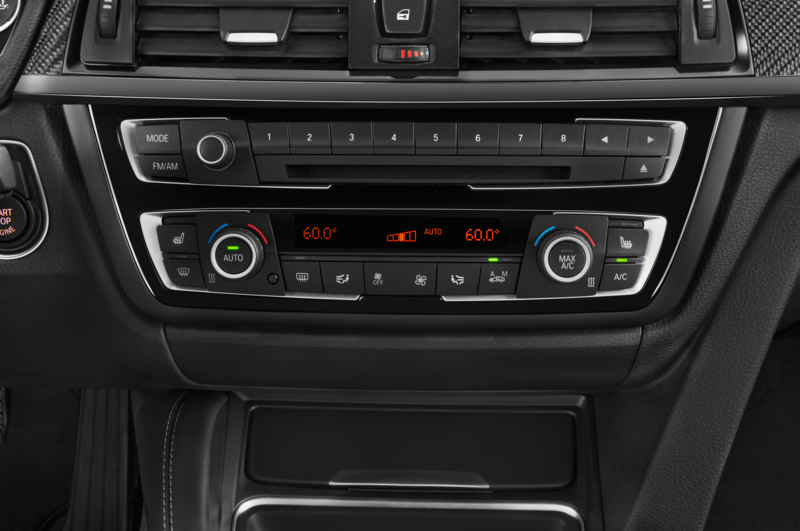 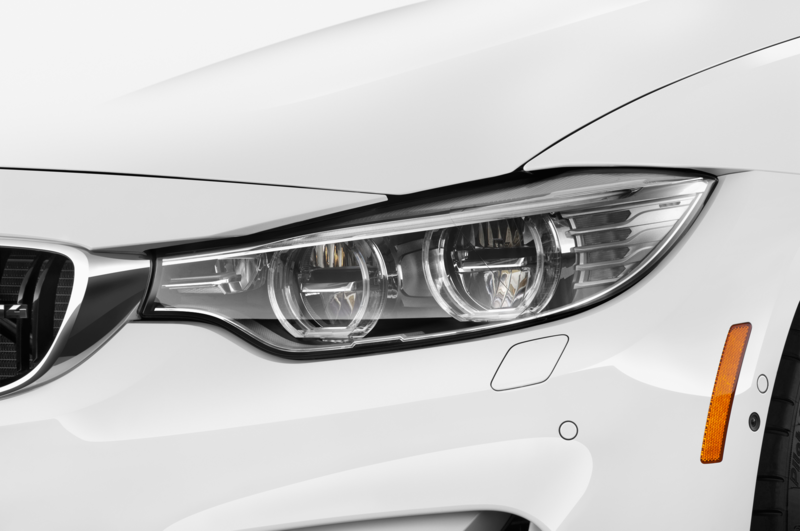 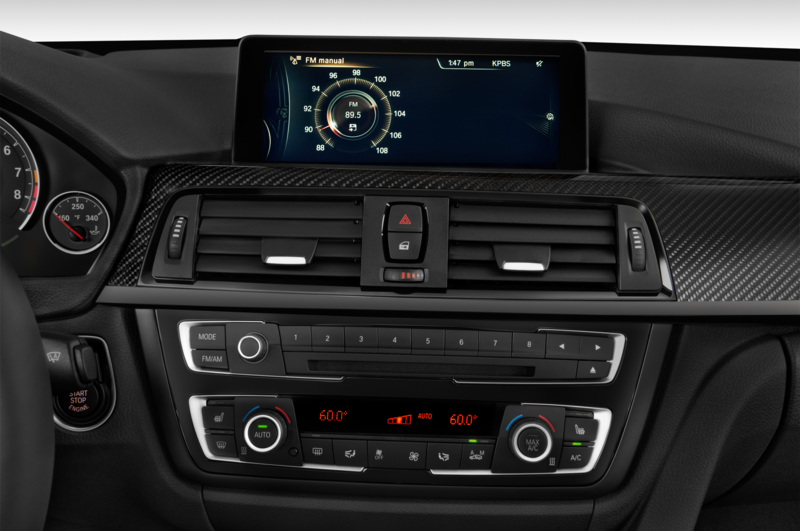 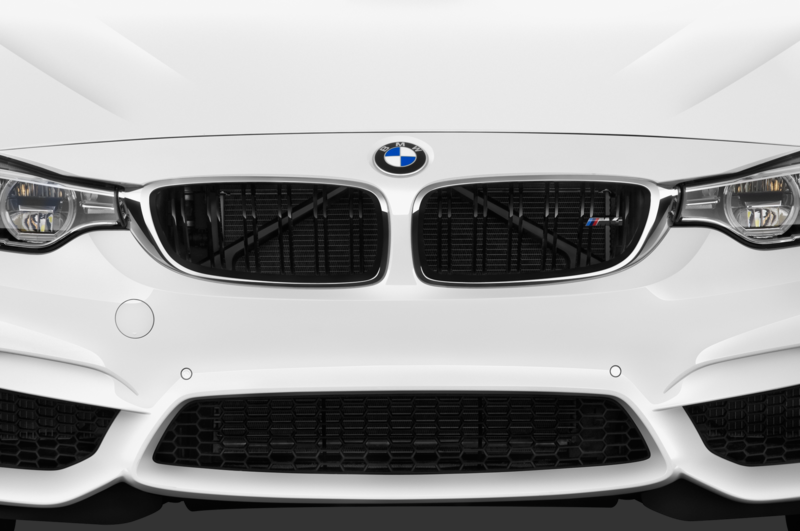 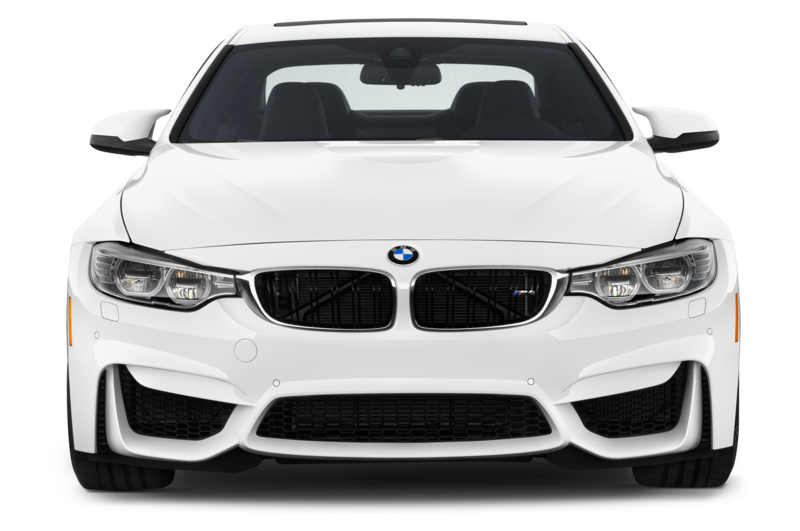 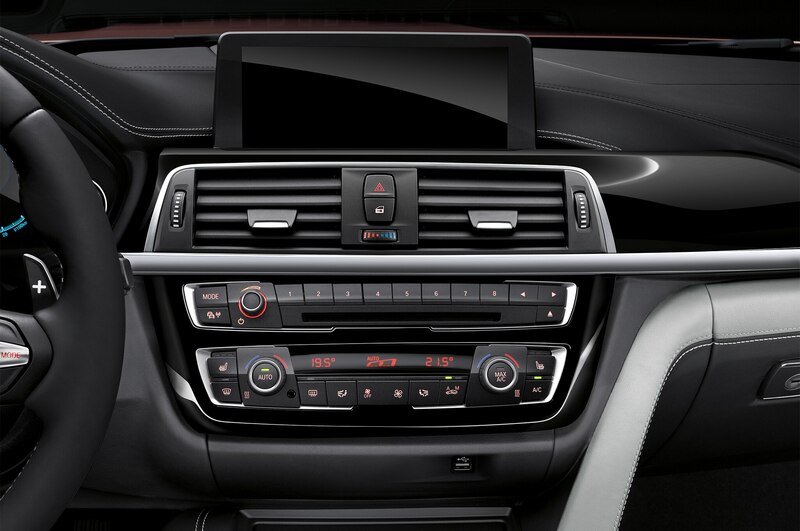 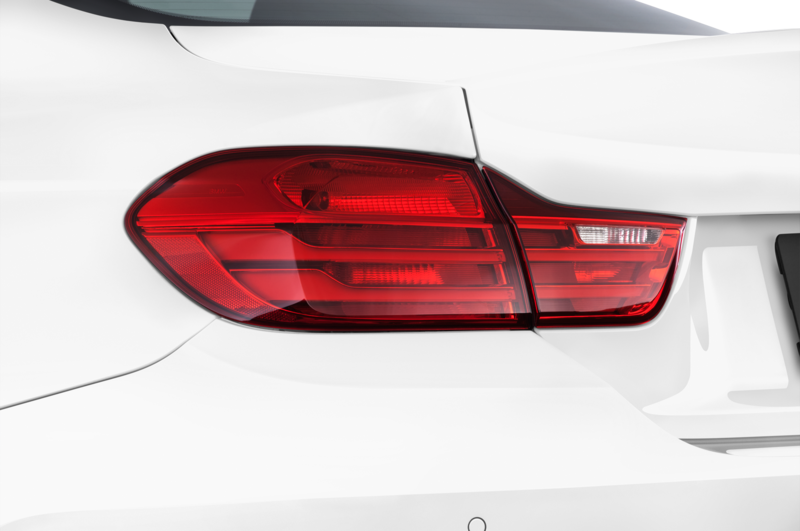 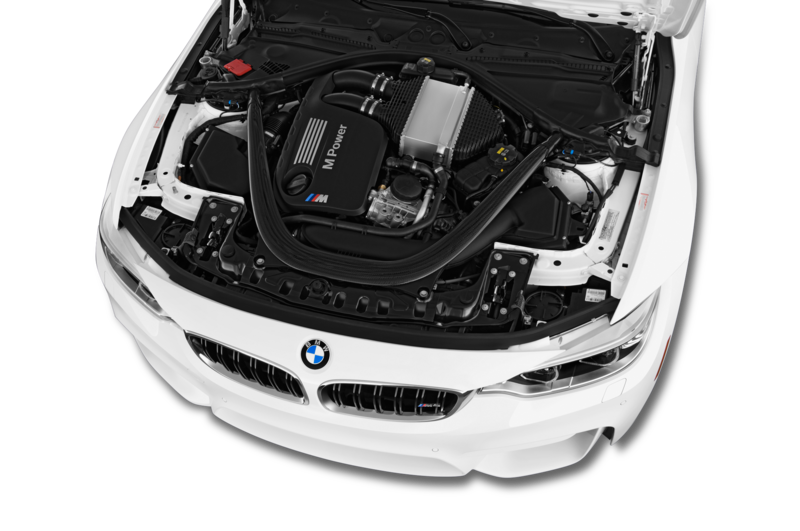 Is there a perceivable performance change in an M4 with the competition package? 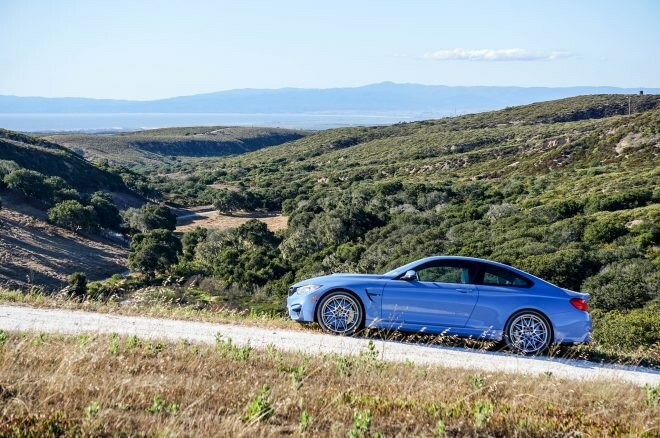 Perhaps there is on a track but on the northern California’s windy roads, we didn’t notice any discernible difference in performance. 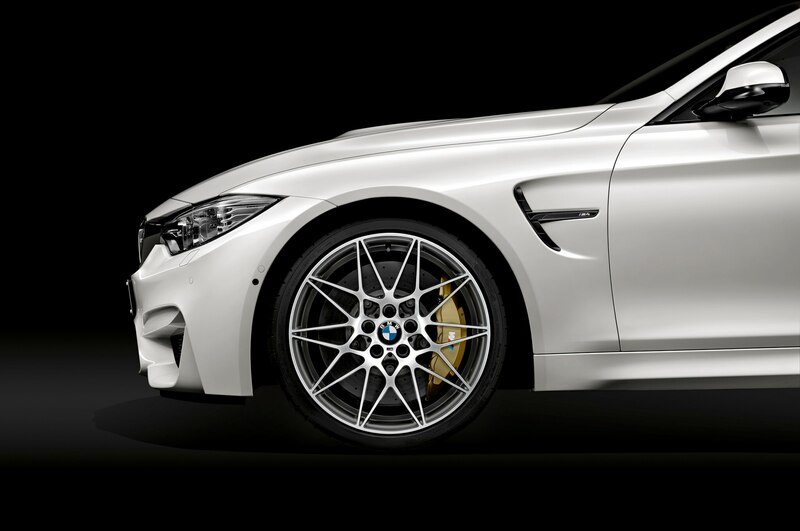 However, we did enjoy ourselves more than we previously had in the M4 for two reasons. 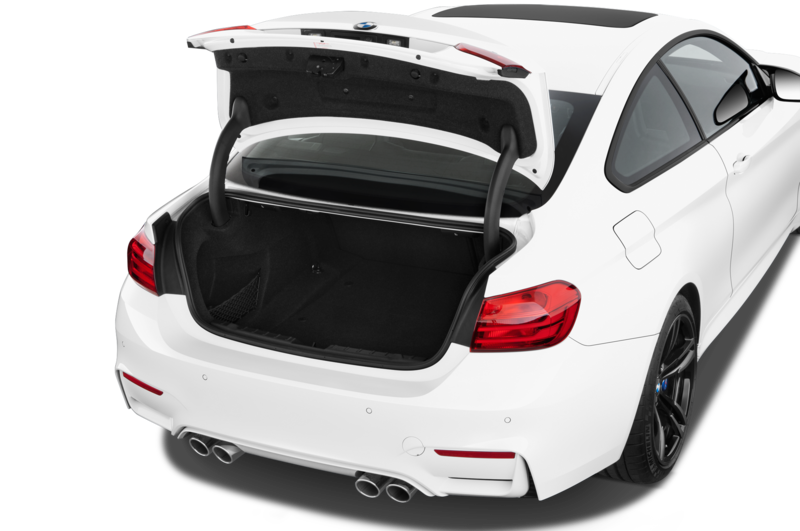 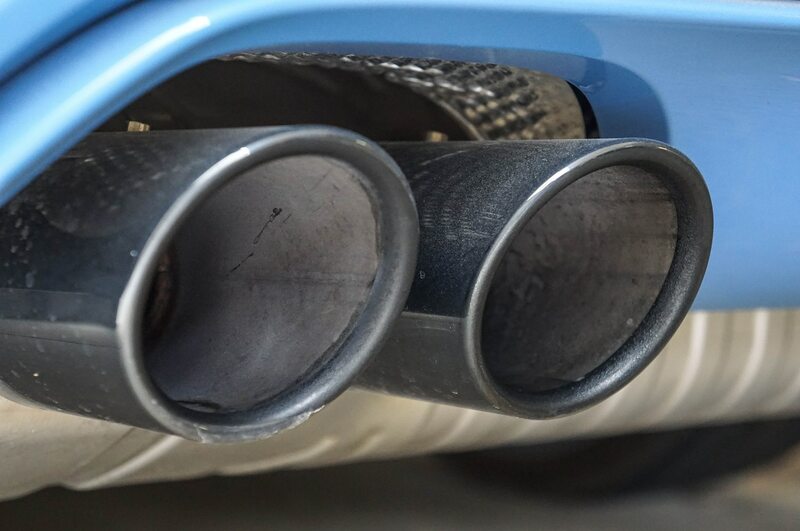 One, the exhaust; the titanium tips amplify the awesome sounds coming from the car’s charming twin-turbo engine and help create a more engaging driver experience. 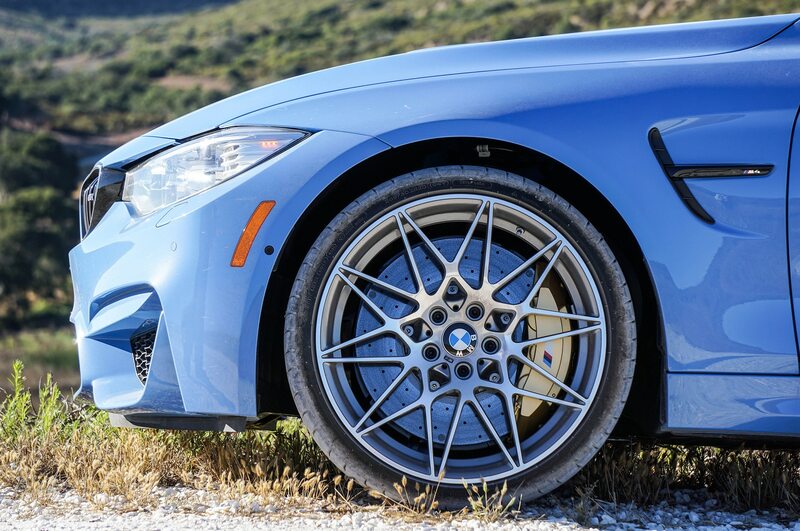 And two, because of how people interacted with the Yas Marina Blue M4. 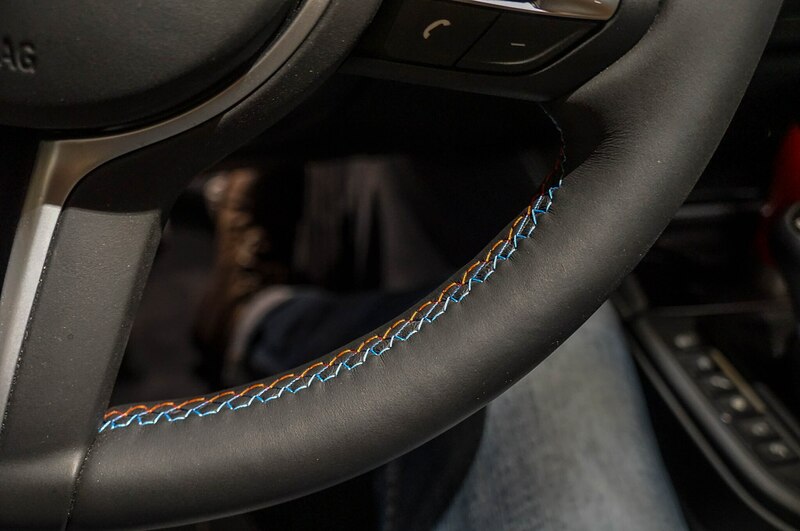 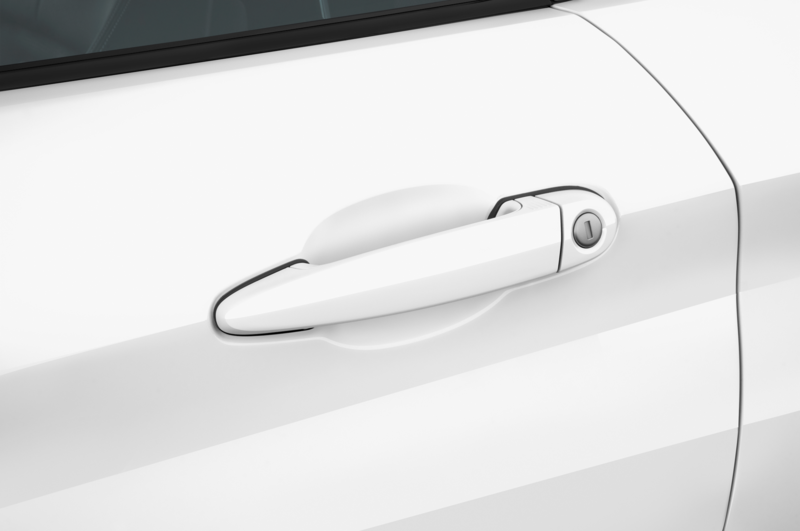 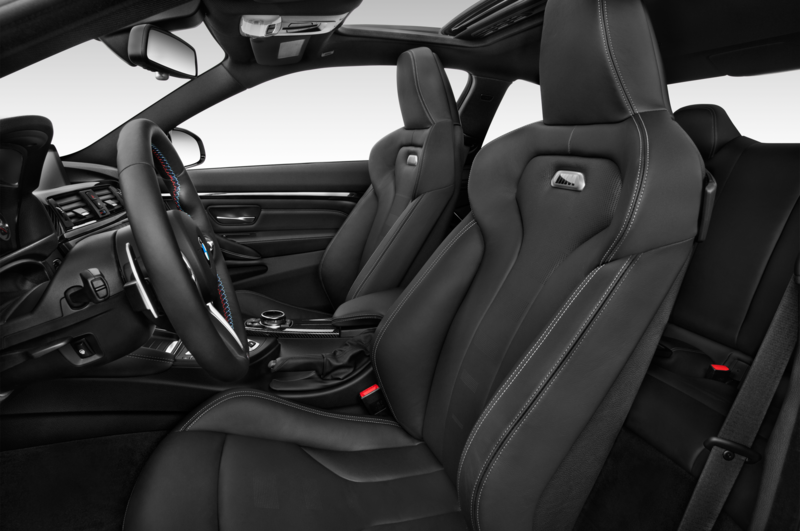 The burbling exhaust, snowflake wheels, murdered-out trim, and carved-out seats are all subtle touches that seduced each and every person who spent time in or around the car. 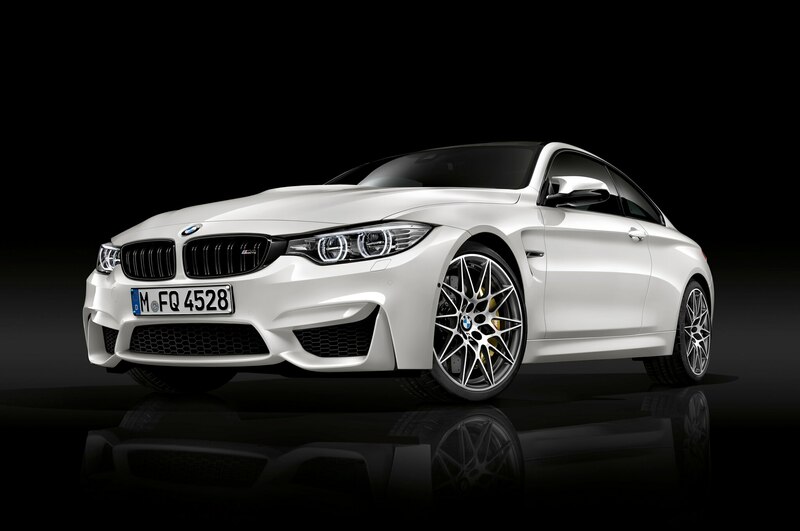 Is the 2016 BMW M4’s competition package worth $5,500? 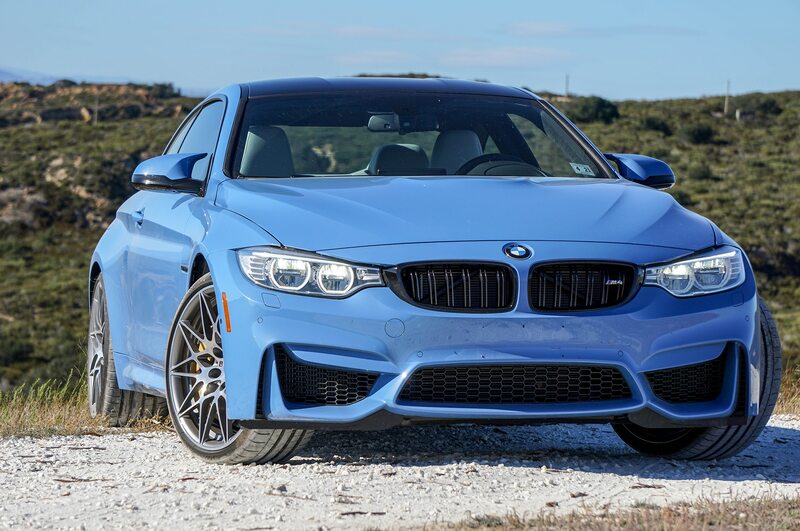 Sure — it’s an appropriately priced package that draws a bit more attitude out of a performance car with talents that are often underappreciated. 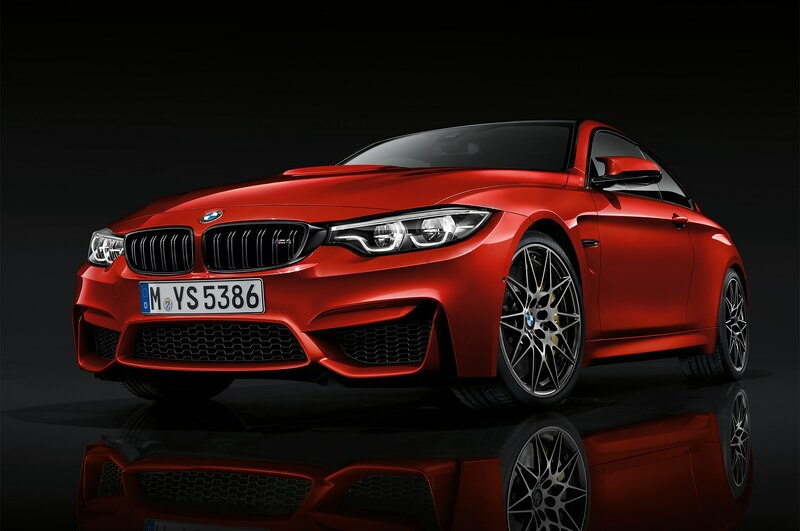 To really sell us on the package, though, we need to find time to take this M4 to a track to see if the M4’s improvements are as successful as the superficial ones.